Welcome Monday! Praying you start your day feeling refreshed, renewed and prepared for a wonderful week ahead! A few weeks ago I spent a beautiful Sunday morning walking around the farmers market. I found some yummy summer fruits and vegetables! I also discovered a delicious Fall squash, the Sunshine Squash! It has a gorgeous orange color similar to a pumpkin but smaller in size. 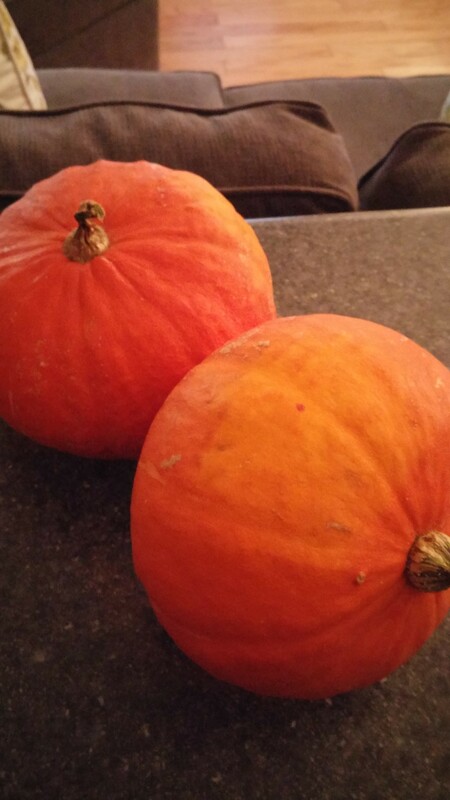 I was told it tasted sweeter then a Butternut squash, which I love so I purchased the 2 they had. I left very excited to try this squash I had never heard of! It has a very thick skin, harder to cut than a Butternut but not too difficult. I cut some of the raw squash in chunks and cut a few slices. I roasted at 375 for about 35 minutes. Smells divine! Forget the Fall candles, just roast some Fall squash! I roasted one squash, saving the other for later. I made a veggie stack with the slices. 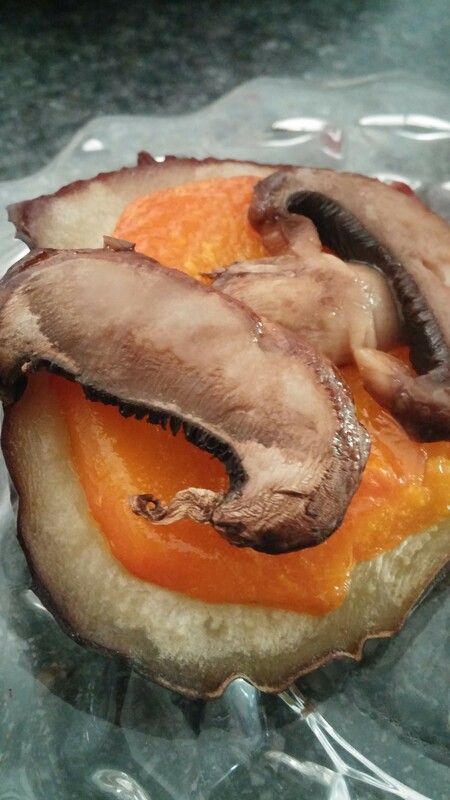 Topped a roasted eggplant slice with the sunshine squash slice and a few roasted mushroom slices. Delicious! You could add it to a sub roll with some greens if you want a veggie sub! I used the chunks in a Risotto. 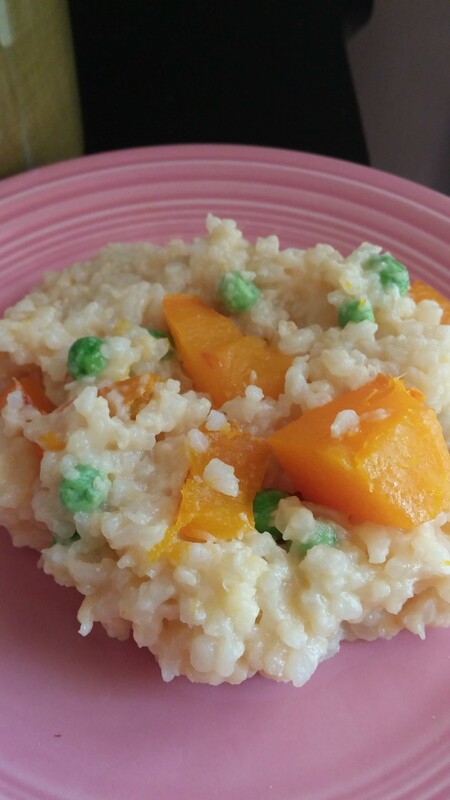 I have a true risotto recipe here on the blog but the day I wanted to make this, I was not up for standing and stirring to make true risotto. I found a recipe from Ina Garten online called Easy Parmesan “Risotto” which you bake in the oven. I followed the recipe and when it was all finished I added some of the chunks of my roasted Sunshine Squash! Decadent and so tasty! I had some chunks left for later in the week and I will add those to a roasted pureed veggie soup and some to a salad. Take a trip to one of your local farmers markets and see what “treasures” you can find! ENJOY!